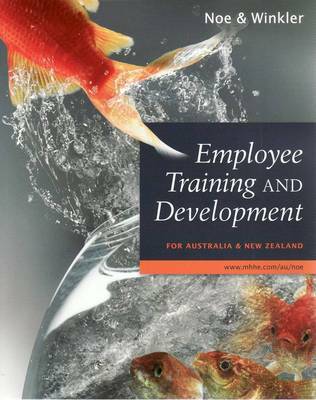 Buy Fundamentals of Human Resource Management by Raymond Andrew Noe from Australia's Online Independent Bookstore, Boomerang Books. RAYMOND A. NOE is the Robert and Anne Hoyt Designated Professor of Management at The Ohio State University. He was previously a professor in the Department of Management at Michigan State University and the Industrial Relations Center of the Carlson School of Management, University of Minnesota. He received his BS in psychology from The Ohio State University and his MA and PhD in psychology from Michigan State University. Professor Noe conducts research and teaches undergraduate as well as MBA and PhD students in human resource management, managerial skills, quantitative methods, human resource information systems, training, employee development, and organizational behavior. He has published articles in the Academy of Management Annals, Academy of Management Journal, Academy of Management Review, Journal of Applied Psychology, Journal of Vocational Behavior, and Personnel Psychology. Professor Noe is currently on the editorial boards of several journals including Personnel Psychology, Journal of Applied Psychology, and Journal of Organizational Behavior. Professor Noe has received awards for his teaching and research excellence, including the Ernest J. McCormick Award for Distinguished Early Career Contribution from the Society for Industrial and Organizational Psychology. He is also a fellow of the Society of Industrial and Organizational Psychology. JOHN R. HOLLENBECK holds the positions of University Distinguished Professor at Michigan State University and Eli Broad Professor of Management at the Eli Broad Graduate School of Business Administration. Dr. Hollenbeck received his PhD in Management from New York University in 1984. He served as the acting editor at Organizational Behavior and Human Decision Processes in 1995, the associate editor of Decision Sciences from 1999 to 2004, and the editor of Personnel Psychology from 1996 to 2002. He has published over 90 articles and book chapters on the topics of team decision making and work motivation. According to the Institute for Scientific Information, this body of work has been cited over 3,000 times by other researchers. Dr. Hollenbeck has been awarded fellowship status in both the Academy of Management and the American Psychological Association, and was recognized with the Career Achievement Award by the HR Division of the Academy of Management (2011) and the Early Career Award by the Society of Industrial and Organizational Psychology(1992). At Michigan State, Dr. Hollenbeck has won several teaching awards including the Michigan State Distinguished Faculty Award, the Michigan State Teacher-Scholar Award, and the Broad MBA Most Outstanding Faculty Member. BARRY GERHART is Professor of Management and Human Resources and the Bruce R. Ellig Distinguished Chair in Pay and Organizational Effectiveness, School of Business, University of Wisconsin-Madison. He has also served as department chair or area coordinator at Cornell, Vanderbilt, and Wisconsin. His research interests include compensation, human resource strategy, international human resources, and employee retention. Professor Gerhart received his BS in psychology from Bowling Green State University and his PhD in industrial relations from the University of Wisconsin-Madison. His research has been published in a variety of outlets, including the Academy of Management Annals, Academy of Management Journal, Annual Review of Psychology, International Journal of Human Resource Management, Journal of Applied Psychology, Management and Organization Review, and Personnel Psychology. He has co-authored two books in the area of compensation. He serves on the editorial boards of journals such as the Academy of Management Journal, Industrial and Labor Relations Review, International Journal of Human Resource Management, Journal of Applied Psychology, Journal of World Business, Management & Organization Review, and Personnel Psychology. Professor Gerhart is a past recipient of the Heneman Career Achievement Award, the Scholarly Achievement Award, and of the International Human Resource Management Scholarly Research Award, all from the Human Resources Division, Academy of Management. He is a Fellow of the Academy of Management, the American Psychological Association, and the Society for Industrial and Organizational Psychology. PATRICK M. WRIGHT is Thomas C. Vandiver Bicentennial Chair in the Darla Moore School of Business at the University of South Carolina. Prior to joining USC, he served on the faculties at Cornell University, Texas A&M University, and the University of Notre Dame. 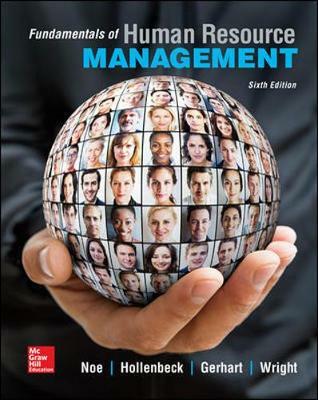 Professor Wright teaches, conducts research, and consults in the area of Strategic Human Resource Management (SHRM), particularly focusing on how firms use people as a source of competitive advantage and the changing nature of the Chief HR Officer role. For the past eight years he has been studying the CHRO role through a series of confidential interviews, public podcasts, small discussion groups, and conducting the HR@Moore Survey of Chief HR Officers. In addition, he is the faculty leader for the Cornell ILR Executive Education/NAHR program, "The Chief HR Officer: Strategies for Success," aimed at developing potential successors to the CHRO role. 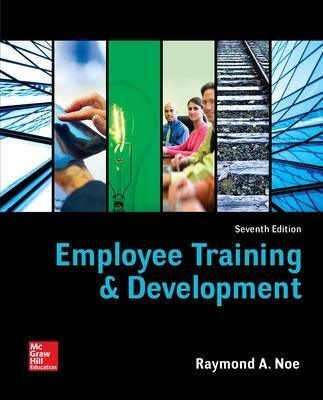 He served as the lead editor on the recently released book, The Chief HR Officer: Defining the New Role of Human Resource Leaders, published by John Wiley and Sons. He has published more than 60 research articles in journals as well as more than 20 chapters in books and edited volumes. He is the Incoming Editor at the Journal of Management. 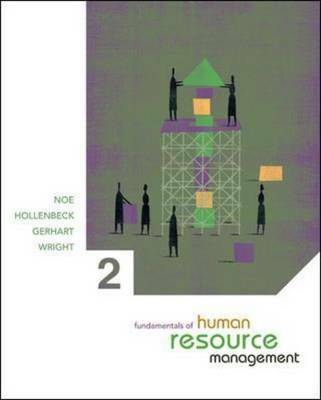 He has coedited a special issue of Research in Personnel and Human Resources Management titled "Strategic Human Resource Management in the 21st Century" and guest edited a special issue of Human Resource Management Review titled "Research in Strategic HRM for the 21st Century." He has conducted programs and consulted for a number of large organizations, including Comcast, Royal Dutch Shell, Kennametal, Astra- Zeneca, BT, and BP. He currently serves as a member on the Board of Directors for the National Academy of Human Resource(NAHR). 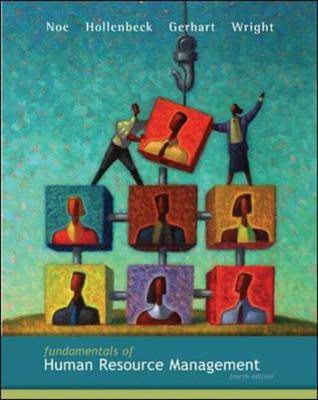 He is a former board member of HRPS, SHRM Foundation, and World at Work (formerly American Compensation Association). In 2011, 2012, and 2013 he was named by HRM Magazine as one of the 20 "Most Influential Thought Leaders in HR."